Dashiell "Dash" Robert Parr (voiced by Spencer Fox) is a speedster. While he is only as strong as the average 10-year-old boy, the film's official website lists "enhanced durability" amongst Dash's powers, which is implied in the film by the amount of incidental high-speed collisions and crashes Dash endures without apparent injury. Dash also discovers throughout the course of the movie that his speed allows him to be able to run over water without submerging. Dash's reckless and impulsive nature and one-track mind have put him at odds with Violet's gloomier and more sarcastic nature more often than their parents would like, but when Dash is in battle, he cares deeply about his family; he was willing to attack a fully grown man who was about to kill his sister with an assault rifle. Is it true that theyare doing a second 'The Incredibles' flick, or am I just finally at the senile farm? So how is Google+ working out? It's a bit tricksy when you go to someone's link and it's a G+ site with no navigation or reference to their A-Z. Any suggestions on that you can give folks? Going to have to check out your Ts, my friend. I feel the need, the need for T! Dash, a dashing young fellow! That is my favorite Pixar film. 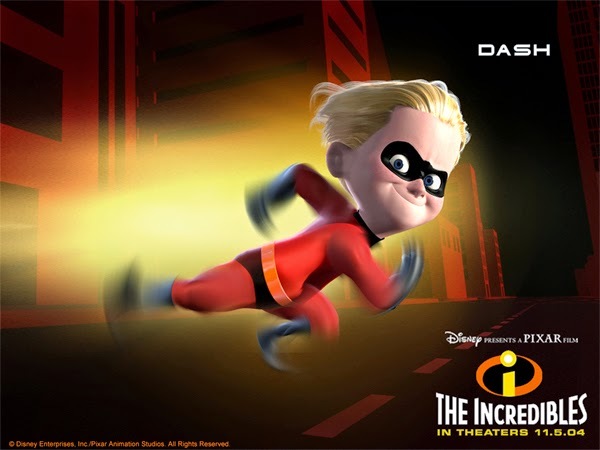 Ooh, great choice for D - I love the Incredibles - it is such a fantastic movie and Dash is the perfect little brother character. There was a time when The Incredibles ran on the loop at home. Thankfully my son has outgrown that stage of dedicated viewing. Pixar films are wonderful. Would like to second the earlier post by Mark K re G+ - no navigation no reference, what to do? Super powers aside, I think Dash is kinda cute. Dash would drive me crazy if he were my kid. Ah, thanks for introducing me to Dash. I have not watched The Incredibles (don't shoot me), but looks like I was missing out. Love your blog and the theme for this month - blessings and thank you for stopping by my blog earlier! Great visuals Jeremy, so very well done! Brings a smile to my face every time. The Disney theme is one of the best on the A-to-Z! Dash makes me happy just looking at him! He does have that 'dashing Hollywood' leading man look! I loved that movie. Edna Mode was my favorite character. Dash is a cutie. I wanna play on his team. I've never actually seen The Incredible, but I know so many who loved it. Haven't seen this movie but it sounds like fun. Will add to my to see list. I love the Incredibles because the babysitter's name is Kari... and it's even pronounced correctly! The Incredibles are greatly underrated. It's a great family show, appealing to all ages. 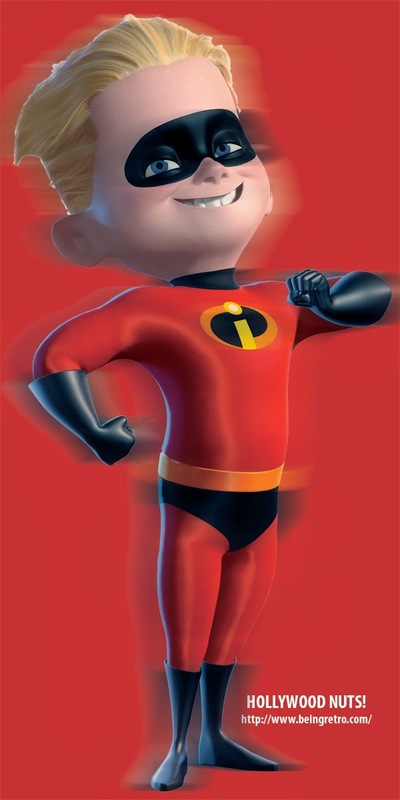 I heard the same Incredibles 2 rumor! My son's favorite character is "Jack-Jack," so I'm excited to see more of him in a possible sequel. In other words, Dash is a typical boy. "Why have I got these powers if I can't use them?" would be my grandson's argument. What a great theme - love Disney! Thanks for stopping by my blog. I need to watch this movie in English. Apparently the Hungarian translation was vastly different :D I do have a soft spot for speedsters, though, right bow being fed both by Marvel and by DC. Dash is the best. I love when he is running across the water and he laughs when he realizes he is going too fast to fall through. My kids point out that The Incredibles is the only Disney Pixar movie to have BOTH parents. Though Brave also did later on. My son and I love this movie. Just watched it the other day. One of my favorite moments in any Pixar movie comes near the end when Dash is fleeing the guards in those flying-saucer thingies, sees the beach coming to an end, closes his eyes and braces himself to fall in... only to realize he can run on water. That laugh he makes at that moment is one of the greatest sounds in the history of animated film and the giant grin that goes with it is just priceless. Love him, love The Incredibles, love all of it- LOVE IT!